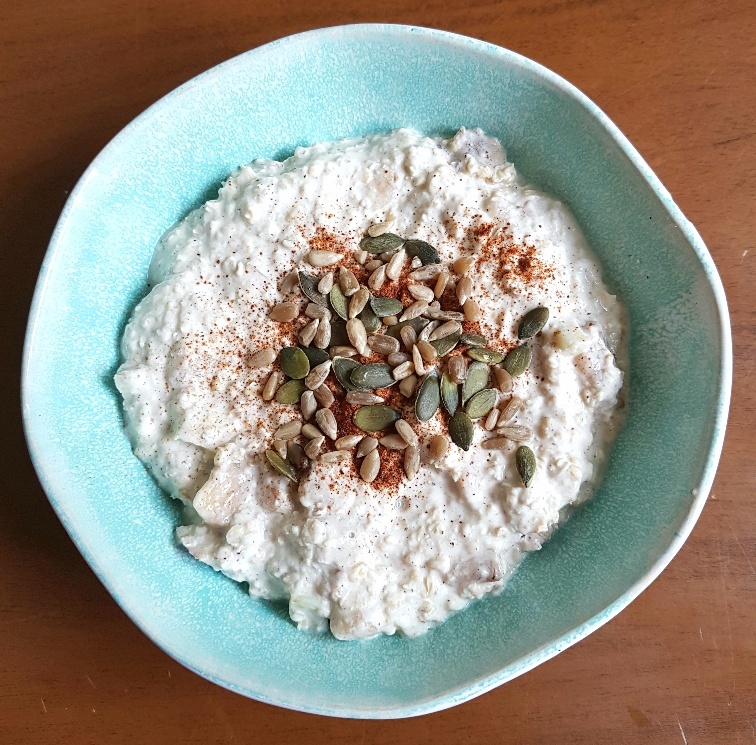 Bircher muesli is a much lighter breakfast option than overnight oats because it’s made with a combination of 50% natural yoghurt (or a non-dairy option) and 50% water. It’s also much lighter because it contains grated apples and chopped banana. I know that apples have had a bad rap on the FODMAP street for a long time because initially Monash listed them as simply high FODMAP, but they’ve since been retested and now small 20g portions of Pink Lady and Granny Smith apples have been recategorised as low FODMAP. So, it’s time to re-embrace the humble apple, folks! It’s worth attempting to reintroduce apples, especially in this recipe, because it really adds a fresh crunch to the muesli bowl. Some people like to grate their apple into bircher muesli, but I like to keep mine diced really small because the crunch it adds to the muesli is gorgeous! Apples are also a brilliant source of fibre which helps to satisfy our good gut bacteria. When it comes to flavouring the bircher muesli with spices I really like cinnamon, so I add around 1/2 a teaspoon to my bowl, but feel free to add or subtract as much or as little as you like. It’s also really nice with a little dried ground ginger in it, if you prefer. I also like to add the zest of 1 navel orange to my bircher and you can add some of the orange juice from the fruit too, if you like. Leave it overnight and then eat in the morning.